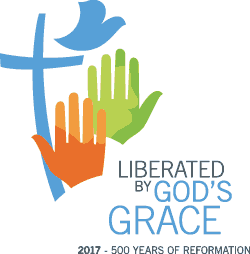 (LWI) – During a special service to commemorate 500 years of the Reformation at the Westminster Abbey today, representatives of The Lutheran World Federation (LWF) and the Roman Catholic Church received the Anglican Communion’s affirmation of the Joint Declaration on the Doctrine of Justification (JDDJ). The event was witnessed by the General Secretaries of the World Methodist Council (WMC) and the World Communion of Reformed Churches (WCRC) Rev. Ivan Abrahams and Rev. Dr Chris Ferguson respectively. Receiving the Anglican action on the JDDJ, General Secretary Junge said its public presentation on Reformation Day itself was significant on the journey toward church unity. “We are grateful to God that together with Catholic, Methodist and Reformed sisters and brothers, we are witnessing today the affirmation of the substance of the Joint Declaration on the Doctrine of Justification by the Anglican Communion. May this moment serve as an important witness on the way of growing unity among our churches,” he said. The LWF general secretary said it was his prayer that churches would continue proclamation of the unconditional grace of God. “By grace alone, in faith in Christ's saving work and not because of any merit on our part, we are accepted by God and receive the Holy Spirit, who renews our hearts while equipping and calling us to love and serve our neighbor,” he added. Rev. Dr Kaisamari Hintikka, LWF Assistant General Secretary for Ecumenical Relations, expressed joy that what was originally a bilateral declaration between Lutherans and Catholics, has become a document that is owned by five Christian World Communions. The WMC affirmed the JDDJ in 2006, and the WCRC affiliated itself to the Catholic–Lutheran declaration in July this year. “The fact that all the historical churches of the west have now a shared understanding of justification is a wonderful way to mark the Reformation anniversary. What used to divide us, now actually unites us,” added Hintikka, who serves as co-secretary in LWF’s dialogues with its ecumenical partners. Representatives of the civic authorities of London were among the hundreds of people who attended the festive service in the Westminster Abbey. Choirs from the different congregations of the Lutheran Church in Great Britain (LCiGB) and the Lutheran Council of Great Britain (LCGB) performed in Chinese, Danish, Estonian, Finnish, Icelandic, Latvian, Norwegian, Swahili and Swedish. The service was part of the Reformation anniversary commemorations organized by the LCiGB and LCGB, both members of the LWF.